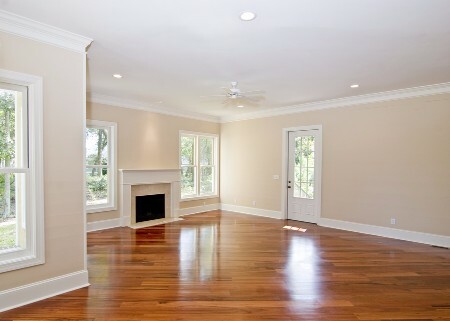 Transform your home today with professional painted MDF skirting board service. Skirting boards are a decorative feature to add to your house and give it a finishing touch. It not only offers style but protects your walls from endless chips and scratches that the vacuum and kid’s toys create. We will supply, install and paint Skirting Boards from just $9,99 per linear metre, in all areas of Perth. Our skirting boards add a unique style and elegance to any room as we only use premium products. The process of 1 coat of primer, 1 coat of Dulux total prep (primer sealer undercoat) and minimum 1 coat of quality Dulux oil-based enamel or Dulux Aquanamel gloss will ensure a fantastic decorative design. If any custom colours are preferred, they are available upon request at no extra charge. Don’t be tricked by other people in this trade, that one particular paint type has more benefits than another. Specifically oil-based enamel or water-based enamel, as both paints have advantages and disadvantages. We offer both options, but we will provide professional assistance for the correct product specifically for your house. For our company, the most important goal for us is that we provide the best paint product and correct size of the MDF skirting board for your house, no matter what the amount of our profit is. The boards' measurements include 67mm, 92mm or 140mm profiles and are available in a variety of profiles. We don’t suggest the 67mm, as it gives a poor style to your house on common ceiling heights in WA. If you prefer 67mm we are able to supply, paint and install the skirting as well. The best suggestion for your house is the 92mm, mostly for average ceiling heights in Perth. If your ceiling is different from common size, we will help to provide the best size of the skirting board for your home. All will be 5.4m long for less joint on your walls. All will be sanded between every coat of paint. All will be spray painted as a result of no brush strokes. All nailed and glued to walls. All internal joints are scribed for a professional finish. All boards are gap filled at nail heads and at corners. Octopus Painting also provides, for handy costumers who wish to install skirting boards themselves or people with tight budgets, a variety skirting boards that we will supply, paint in your custom colour and deliver from just $4,49 per linear metre. Octopus Painting Perth is still true proposal to improve the aesthetics of the interior and exterior. We can add special features to make your home look better than before. That's why we decided to do every detail to complete perfection to you to enjoy the best guarantee. 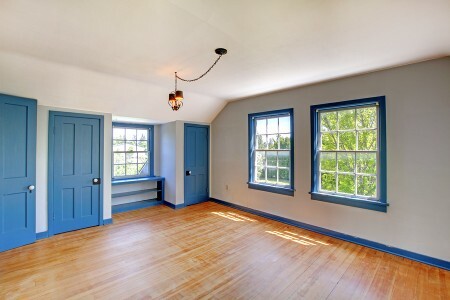 More recently, we decided to offer the fine moldings on the floor, which enrich the viewing experience and leave a good impression with a perfectionist! All edges will be ideal, leaving you satisfied with the decision. Yes, perfection must be, if not in the foreground, then surely the clock present in the choice of materials and labor from start to finish. Building a high-quality moldings on the floor of different sizes and shapes . So, to avoid distortion of aesthetics and increased abrasion resistance, all edges can be covered with tape. Type forms should be based on the correct choice and the desired style that follows the entire interior - interior of the house, living space ... strip color is a very important factor and must be included in the color of doors, walls and the environment. Octopus Painting is ready to enhance your experience of your living space, making it more attractive, warm, quality and positively remarkable. Our installation skirting is like any other service, under negotiation with you. For better results you just need to tell us what we need. We will assess what is the best thing to do in terms of putting the strips in any part of your home. On the basis of various colors and shapes fit into its design. Your choice of creativity will be final.